Take it to the streets. 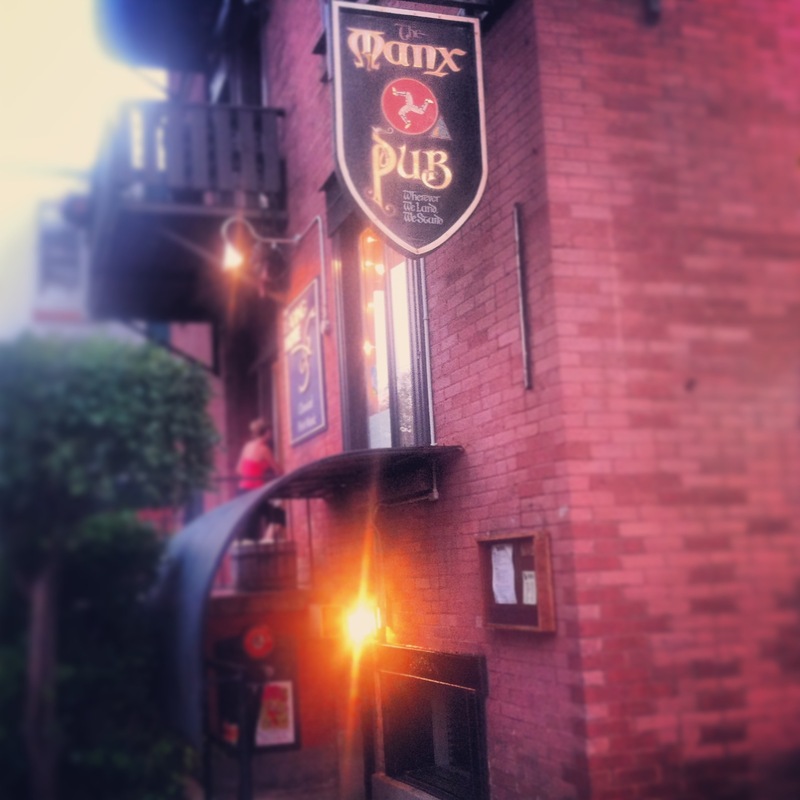 "The Manx Pub" has the best tacos you’ll ever have! Have you ever tasted something so rapturous, so luscious, so drool inducing that it almost made you weep? Where successive rounds of “OMIGOD’s” were uttered because it felt as if you were being transported from the here and now? 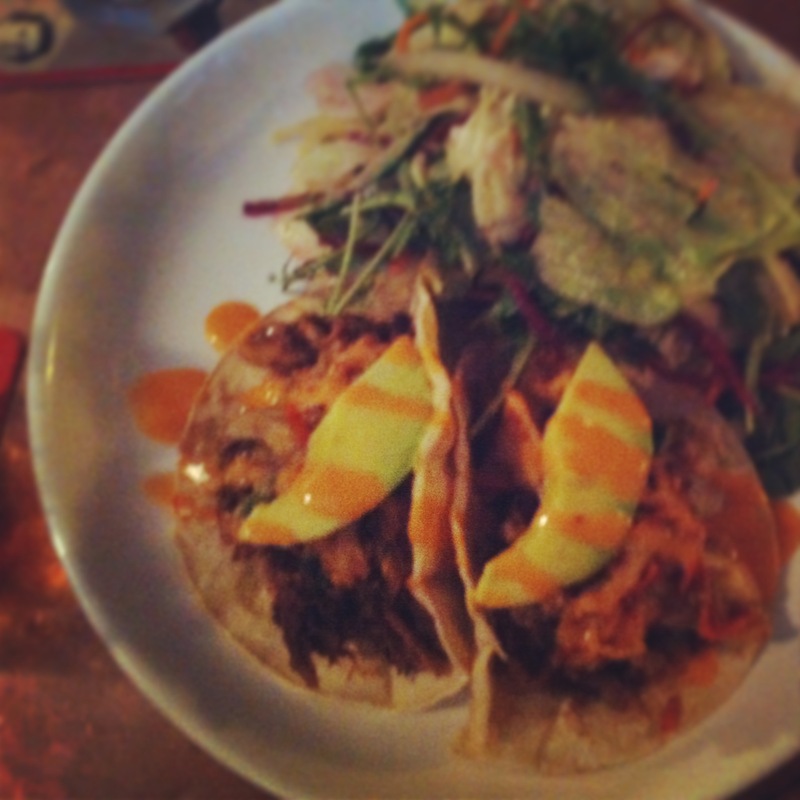 Ladies and Gentlemen, let me introduce you to The Manx Pub‘s pulled-pork tacos (PPT)! Filled with copious amounts of sumptuous meat, dressed with a rich flavourful sauce and topped with buttery avocado, the chef at The Manx was able to elevate these tacos from mere plebeian to out-of-body experience. The tacos sparked discussion. We debated on the merits of soft shell vs. hard shell and my friend astutely noted that by crisping the soft shell it allowed the whole to remain intact and impervious to pesky leakages. Not to say that the PPT’s weren’t messy. They were definitely a chin-dripping 5-napkin affair. The genius, however was in the full package. The tender meat, the blend of spices, and the outer taco shell were harmoniously unified to near flawlessness. If there is an award for best taco, best meal, best restaurant of 2013 (and I know there is) and if there is a God (and I for sure know there is) this award must, IT MUST go to The Manx for its pulled-pork tacos. This is not an exaggeration or excessive hyperbole. It’s straight-out reverence for a job well done. Excellence must be rewarded. These tacos are from the “specials” menu. 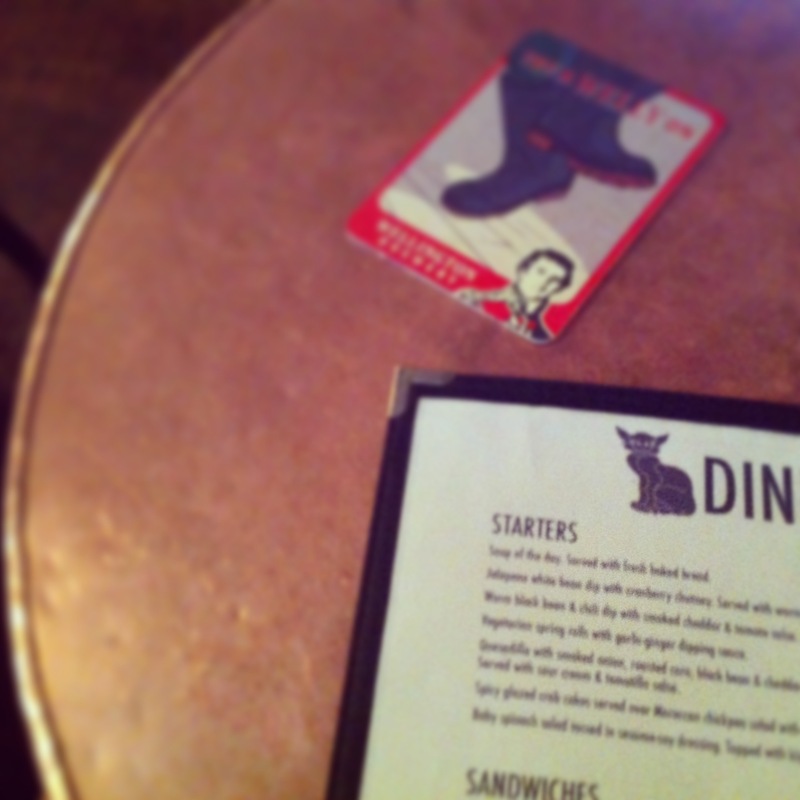 Here’s hoping they make it up to the big leagues of the “mains.” But in case not, you must run right now to get your fix. Me? I’ll be telling the world about my taco moment! P.S. You have but a few mere months to enjoy these blurry pictures. iPhone 5s is coming! iPHONE 5S IS COMING!!! I bet they don't come close to the tofu tacos with cheddar cheese. Seriously, they sound amazing. Hold a place at the bar for me.